BMW Auto Repair Sacramento - Standard Auto Care Inc. Drivers all over Sacramento are bringing their BMW vehicles to Standard Auto Care for auto repair. Why? We know BMW drivers will want repair work that matches the prestige of their prized vehicle. The quality of service you receive on your car will have a direct impact on the condition, functionality, and longevity of your BMW over time, and our experienced and efficient auto mechanics are up for the job. At Standard Auto Care in Sacramento, we know that quality matters when it comes to your BMW’s maintenance and auto repair service. Our quality comes from the experience and technical training demonstrated by our ASE-Certified technicians. ASE certification is the industry-accepted method of credentialing auto mechanics. To earn an ASE certification, the auto mechanics must obtain several years of work experience. A technician who becomes certified in eight different areas can gain the Master status designation. All this training and effort goes into the service that our ASE-Certified Auto mechanics provide for your BMW, so you know you’re getting quality work done. 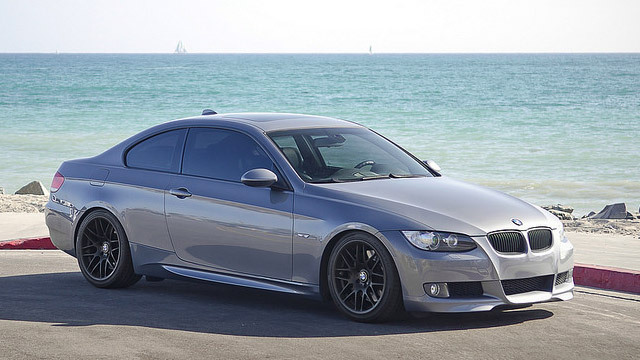 We are fortunate to have a BMW Master Certified Technician with over five years working on specifically BMW vehicles. Our auto mechanics have specific access to BMW specific training and specialized diagnostic computers, tools, and parts, that will greatly benefit your car. The best part is that you can turn to Standard Auto Care for BMW service, regardless of your warranty status. If your BMW is still under warranty, you don’t have to get to a BMW dealer for repairs or services. Any certified auto shop can repair your vehicle, including Standard Auto Care in Sacramento, California. If you’re in the neighborhood of Sacramento and are looking for a new place to bring your BMW, look no further than Standard Auto Care. Located about 10 minutes from the heart of downtown Sacramento, you can find us at 2240 Colfax Street, Sacramento, California 95815. Feel free to contact us at 916-924-8040. We look forward to meeting you!